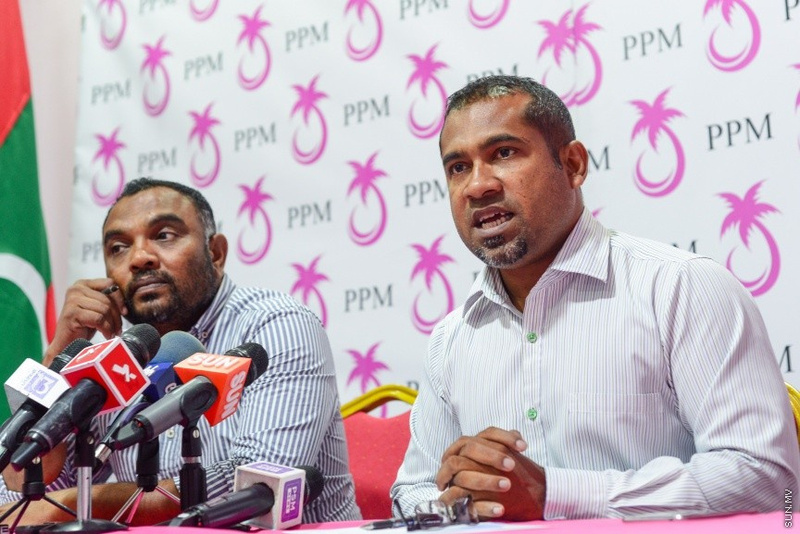 Allowing former Maldivian President Mohamed Nasheed to contest in the Presidential Elections 2018 is as dangerous as burying the Maldivian justice system into the ground, says Secretary-General of ruling Progressive Party of Maldives, Dr. Abdulla Khaleel. Referring to the United Nations Human Rights Committee’s instruction to the Maldivian government last Monday that it overturn Nasheed’s conviction and allow him to contest the upcoming Presidential Elections, Dr. Khaleel tweeted that Nasheed was a criminal, and that granting him the opportunity to stand for office is dangerous. “Allowing a huge criminal like Nasheed to contest the election is as dangerous as burying the entire Maldivian justice system into the ground! It’s the same as ending quality and infringing on the rights of other Maldivian citizens. The people have said “no” to Nasheed!” said Dr. Khaleel in his tweet. Nasheed fadha bodu mujrimakah inthikhaabuga vaadhakuran furusathu dhinunekee, rajjeyge adhulu insaafuge nizaam kafunkoffa valhulunfadha nurakkaatheri kameh! Hamahamakan nethi ehen dhivehi rayyithunge haqquthakah araigathun fadha kameh. Nasheed ah rayyithun noonekey bunefi! Similar sentiments were expressed by Minister of Fisheries and Agriculture, Dr. Mohamed Shainee on Monday when he said the government repeatedly declares the ballot papers for the upcoming Presidential Elections will not have Nasheed’s name. Nasheed was sentenced to 13 years in prison when he gained asylum in UK after being allowed to travel to the country for a medical treatment. Article 109 (f) of the Maldivian Constitution states that anyone served more than a 12-month conviction will only be allowed to contest for presidency three years after either the sentence is served or he is granted clemency. The findings published by UN Human Rights Committee on Monday follows cases submitted by Nasheed to the committee on 2013 and 2016, claiming an arbitrary trial, loss of human rights and loss of the right to contest for presidency. The committee said it found Maldives violated the UN International Covenant on Civil and Political Rights, and that Nasheed’s conviction on terrorism charges was based on vague laws, contained serious flaws and violated his right to a fair trial.